Marni graduated from the University of Delaware in 1991 with a Bachelor’s Degree in Agricultural Science. She majored in Animal Science and minored in English and Psychology. Marni Hansel earned a Master’s Degree in Education from Wilmington University in 1995. During the 1990’s she worked at both Wilmington Christian School and Pike Creek Christian School as a third grade teacher and later as a substitute for all grades and classes. During this time, Marni learned that she loves the versatility of teaching all subjects to every aged student. At PCCS, Marni was the drama director, writing and directing four full-length musicals for middle school students. As a parent of several children with special needs, Marni has developed multi-sensory teaching techniques for students who learn differently. Because of their unique cognitive and developmental needs, she learned to adapt existing curriculum and began writing her own customized materials to better serve each child she’s worked with, including her own. Additionally, Marni served as the Outreach Director for the Down Syndrome Association of Delaware and wrote for the Community Advisory Board of the News Journal paper. Marni also works at the Highlands School as a substitute teacher and interventionist with students who have been diagnosed with dyslexia, dysgraphia, and attention deficit hyperactivity disorder. She teaches across disciplines and grades. Through her professional and personal experiences with the private, home schooling, and public school systems, Marni remains a dedicated advocate for students. She is well versed in the IEP process and is available for consultation to work with local families. 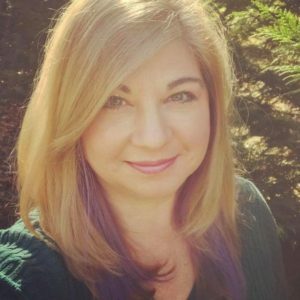 Marni Hansel personally understands the challenges that face parents of children with special needs and will work creatively to help your child succeed.